« A new year… a new beginning! As they say timing is everything…. 25 years ago I started a ‘recipe’ book. Who else out there has cut out recipes or seen interesting recipes in magazines, downloaded them from the web… and ended up with a pile of scraps of paper falling about in the kitchen??? 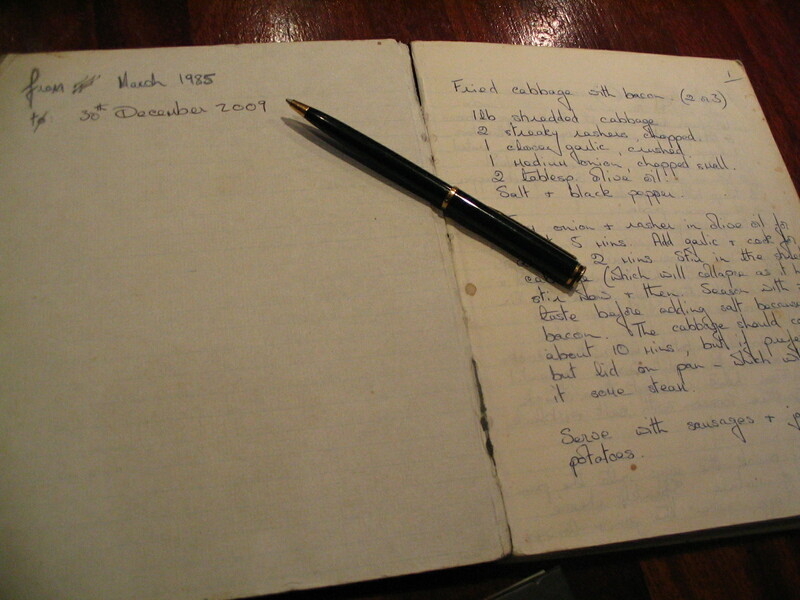 Well that’s why I started my Recipe book… and 25 years later on 30th December my notebook is full. Little did I think that it was going to take that long to fill a notebook. It is interesting to look back on how my recipe range has changed over the years! Anyway as luck would have it… my friend, Yvonne, gave me a lovely new notebook in December for my birthday…. 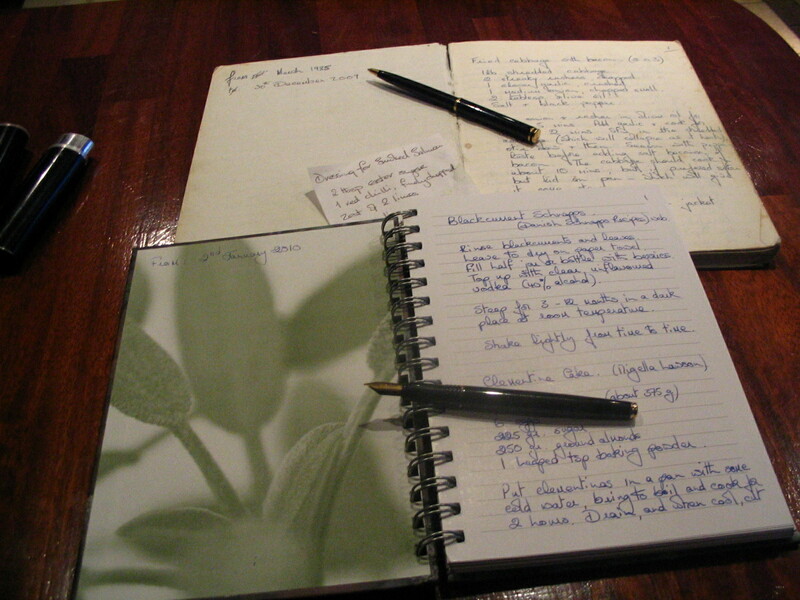 so while a new year, and a new decade may have started… I have also started a new recipe book.